Summer is all about minimal makeup, fresh dewy cheeks and soft lips. 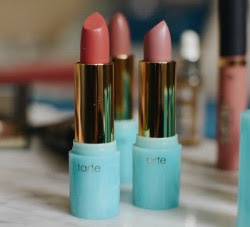 The whole idea is to get that effortless natural radiance. A soft pink dewy cheek is youthful, fresh and gives that no-makeup makeup look. Although, the glow can sometimes be mistaken for grease; with the right tools and know-how, glow-without-the-grease can be achieved. 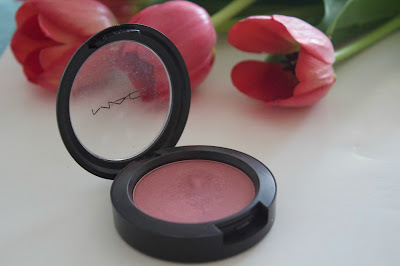 MAC Powder blush in Desert Rose - This one would be ideal for olive to darker skin. For lighter skin this and this would be spectacular. 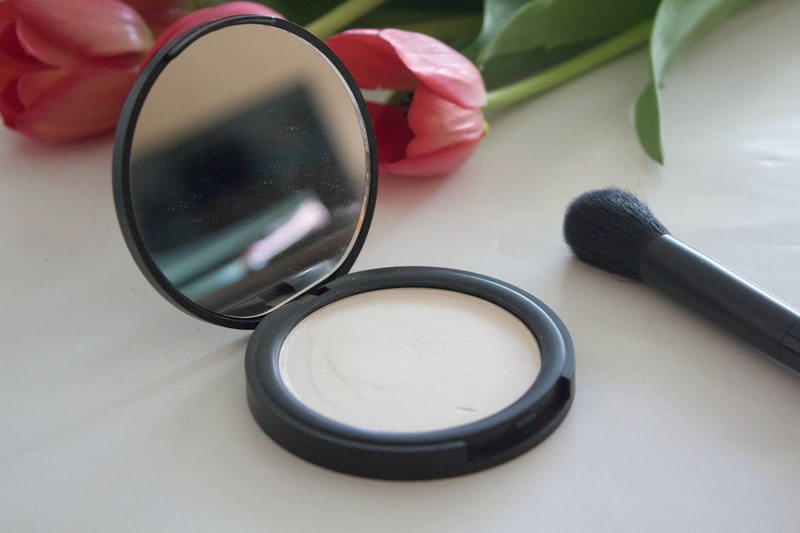 With a blush brush, pick up some powder, dust off extra by tapping against the back of your palms, and gently apply to the apple of your cheeks. 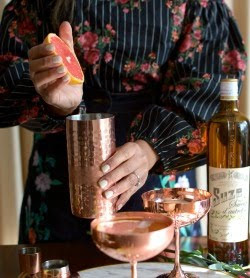 The key is to not go overboard with the blush, so use sparingly. The powder formula is preferable, coz it's less greasy as opposed to a cream-based blush. NYX COSMETICS illuminator- after the blush, swipe a highlighter brush loaded with this illuminator, right above the blush. Make sure there are no lines, take time to blend. An illuminating foundation can be used, but I prefer my shine as a finishing product. Choose a formula that is shimmery and not glittery. You don't want to look like you stepped straight out of a Disney Princess movie. Amazing Cosmetics powderset- I did a review of this product last year. 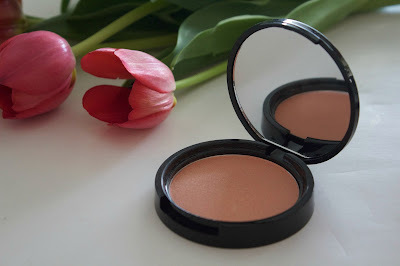 It was a fave back then and continues to be my favorite makeup-setting powder today as well. It's lightweight, universally-flattering formula makes it a must-have in every vanity. 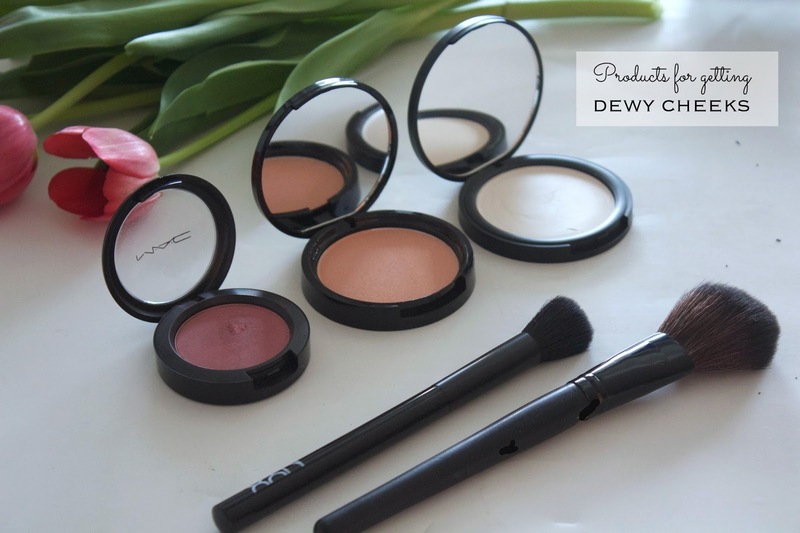 With your blush brush, apply all over the face to set your makeup, including your blush. Once done, dust off the extra with a clean brush and voila - "you've mastered dewy cheeks!" Thanks for stopping by loves !